Bitrix24 Update, Part I released: new chats, analytics dashboards for leads and invoices, Gantt Chart tasks dependencies, Network 2.0 and more. Now you can create a new chat much faster - just click the new chat icon and choose chat type. You can easily add chat participants, change chat names and start conversations instantly. 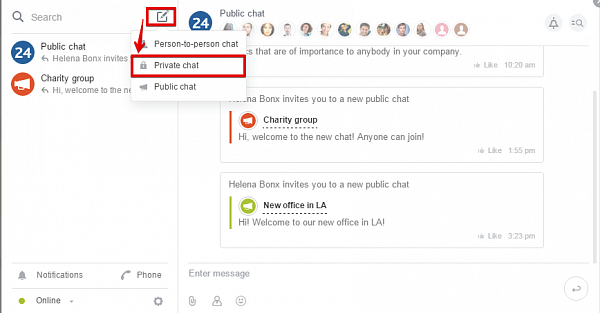 The classic Bitrix24 group chats that our users got used to are now transformed into private chats – group chats available to the invited users only. 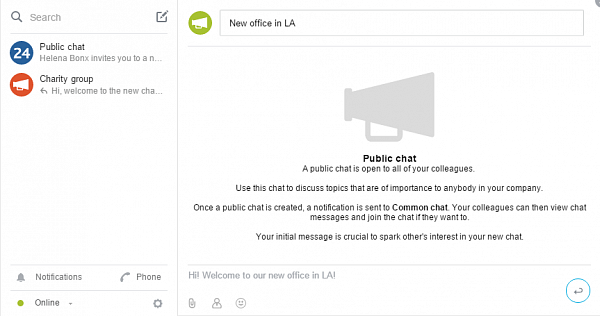 A public chat is a new type of communication for your company. 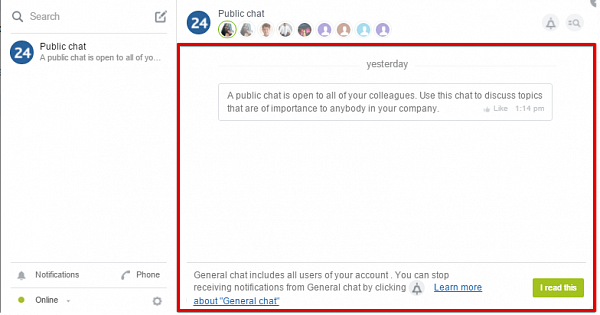 This chat is open to all of your colleagues (as compared to private chats) – anyone form your Bitrix24 intranet can read the chat messages or join it. Use this chat to discuss topics that are of importance to anyone in your company. General chat is a new type of chat for all Bitrix24 employees (users) inside a give account. It’s mandatory and can not be deleted. By default, all users can read the chat, send messages and comments there. The purpose of this chat is to have a single common place in order to share important information with all team members. If General gets too noisy, admins can restrict who can and can’t post messages to it. When a new message is added to the chat, all intranet users receive a notification. You can’t leave General chat, but you can disable notifications. 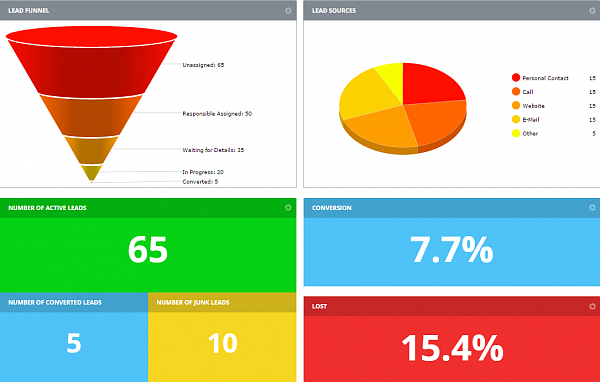 Now bright and informative dashboards are available not only for deals, but for leads & invoices as well. New tools can help to measure sales managers effectiveness and track your unpaid invoices. Lead funnel & lead source chart, unpaid invoices and payment flows and other types of dashboards are already in your Bitrix24 CRM. As you’ve probably seen, we’ve changed tasks inside Bitrix24 and added new zoomable Gantt chart, which now come with task dependencies. All four most common dependency types are supported. Manage your project dates is easier now – shift your primary (main) task dates and the connected tasks dates will be automatically shifted as well. Configured working time & days can also be taken into account, meaning the system will check if the new dates are within the working days & hours (e.g. Mon. - Fr. 09:00 - 18:00) and move them toward next workday, if necessary. Bitrix24 users have already enjoyed communicating inside their own intranets with options to create group chats, send messages, share files, make voice & video calls, but what if these communications could go beyond the ‘walls’ of your company? That is exactly what new Bitrix24 Network does, it lets you collaborate and communicate with other Bitrix24 users who are outside your account. 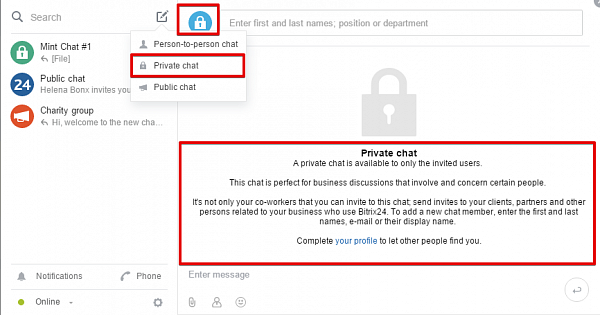 Here is how it works – inside your Bitrix24 chat you can create either person-to-person or private type chat and invite any external user who is registered inside Bitrix24 Network or has Bitrix24 account. You can now find external users by first and last names, Bitrix24 Network name or exact email address. 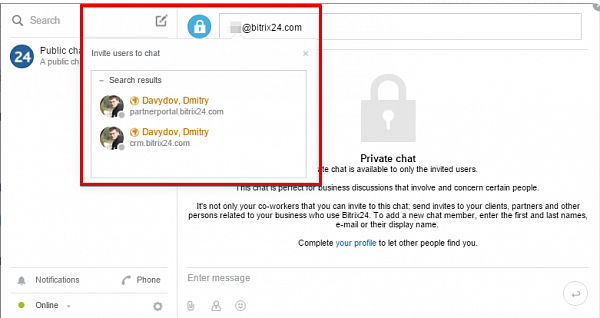 The invited users will receive your message inside own Bitrix24 chat & will be able to communicate with you from inside their account. This is a new convenient way to communicate with your clients, partners or suppliers who are also using Bitrix24 at work. The option is available for all Bitrix24 plans at the moment. Your Bitrix24 Activity Stream and chat messages are updated with rich media links preview. The settings options are now grouped by blocks. Deal stages, lead statuses, selection lists settings have all been modified to be more user-friendly. 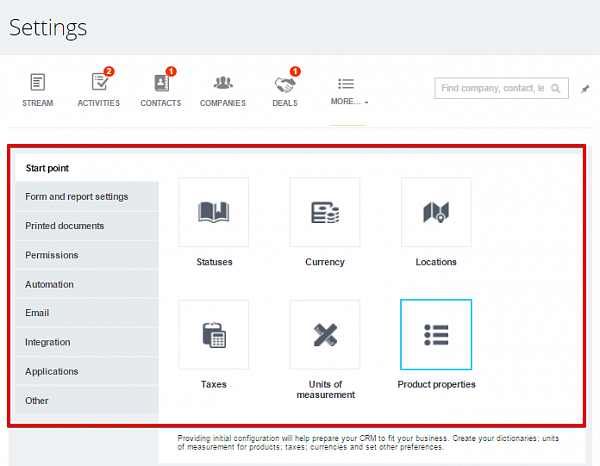 The colors configured in the CRM settings will be automatically applied to CRM records forms & lists.